The Engglib2 will close on Monday, April 20, 2009 to make way for the Annual Assessment & Planning Workshop of the Library staff. CIRCULATION BOOKS DUE ON MONDAY and RESERVE BOOKS BORROWED TOMORROW, April 17, 2009 can be returned on TUESDAY (before 9 AM for Reserve Books). 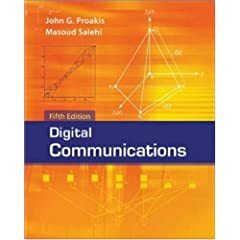 Digital Communications is a classic book in the area that is designed to be used as a senior or graduate level text. The text is flexible and can easily be used in a one semester course or there is enough depth to cover two semesters. Its comprehensive nature makes it a great book for students to keep for reference in their professional careers. This all-inclusive guide delivers an outstanding introduction to the analysis and design of digital communication systems. Includes expert coverage of new topics: Turbocodes, Turboequalization, Antenna Arrays, Digital Cellular Systems, and Iterative Detection. Convenient, sequential organization begins with a look at the history and classification of channel models and builds from there..
Operating systems : internals and design principles, 6th, Int’l ed. For a one-semester undergraduate course in operating systems for computer science, computer engineering, and electrical engineering majors. Operating Systems: Internals and Design Principles is a comprehensive and unified introduction to operating systems. By using several innovative tools, Stallings makes it possible to understand critical core concepts that can be fundamentally challenging. The new edition includes the implementation of web based animations to aid visual learners. At key points in the book, students are directed to view an animation and then are provided with assignments to alter the animation input and analyze the results. The concepts are then enhanced and supported by end-of-chapter case studies of UNIX, Linux and Windows Vista. These provide students with a solid understanding of the key mechanisms of modern operating systems and the types of design tradeoffs and decisions involved in OS design. Because they are embedded into the text as end of chapter material, students are able to apply them right at the point of discussion. This approach is equally useful as a basic reference and as an up-to-date survey of the state of the art.Resources William Stallings has prepared a robust suite of student and instructor resources, including a rich set of Animations to illustrate key functions and algorithms in OS design. (Icons are placed at relevant points in the text to indicate that an animation is available.) . Computer organization, design, and architecture, 4th ed. 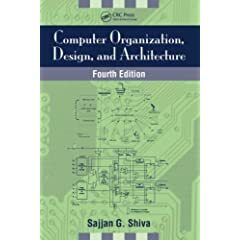 Suitable for a one- or two-semester undergraduate or beginning graduate course in computer science and computer engineering, Computer Organization, Design, and Architecture, Fourth Edition presents the operating principles, capabilities, and limitations of digital computers to enable development of complex yet efficient systems. With 40% updated material and four new chapters, this edition takes students through a solid, up-to-date exploration of single- and multiple-processor systems, embedded architectures, and performance evaluation. 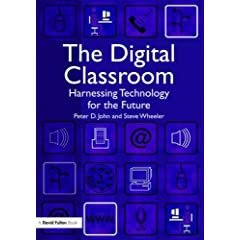 Based on a major research project (the InterActive Project), this book explores and illustrates how digital technologies can transform learning across the curriculum. Using a wide range of educational settings – primary, secondary, school and home – it will help practitioners think about, plan and execute effective learning in their classrooms and beyond. It will show teachers how they can ‘harness technology for the future’ by covering important topics such as: personalised learning; using ICT for pupils with special needs personal; use of ICT and home-school links designing; and, ‘digital’ classrooms. By weaving ‘evidence based practice’ into each chapter, the book will provide extensive guidance, practical advice and insights into working in the ‘digital classroom’ for all primary and secondary school teachers. Providing an end-to-end view of how modern web applications are built, Dynamic Web Application Development takes a cohesive approach to building a software architecture from core components. It tells a development story by taking you right through from analysis and design, learning the core technologies, and tying them together using standard tools patterns and frameworks without straying into detail or trying to cover too many alternatives. Using PHP scripting and the MySQL database management system, this is a contemporary and well targeted coverage of important areas of web application development including Ajax, , adaptive markup, web application frameworks, standards and conformance, accessibility and security issues. It shows you how to build functionality into a website using a variety of technologies. These will work as a basic framework from which you will be able to explore more challenging developments such as porting applications to mobile devices and including more Web 2.0 features. Ethical, Legal and Professional Issues in Computing provides a comprehensive treatment of the issues facing computer professionals in today’s modern, working environment. It features ethical material and codes of practice, using them throughout the book to highlight issues. Written in an accessible style and aided by numerous activities, it brings the subject matter to life and provides essential coverage for undergraduates or anyone interested in the issues facing computer professionals in an ever-changing world. CCTV : networking and digital technology, 2nd ed. Closed circuit television (CCTV) is experiencing a leap in technology using digital techniques and the Internet. The new edition of this high-level professional reference retains the particulars that made the first edition a success, including the details of CCD cameras, lenses, coaxial cables, fiber-optics, and system design, but it is expanded to cover all video compression techniques used in the ever increasing assortment of digital video recorders (DVRs) available on the market today. It also serves to clarify the technology of data networking. The theoretical section explains the various compression techniques, such as MPEG-1, MPEG-2, JPEG, Wavelet, H.261/263, JPEG-2000, MPEG-4, etc. Networking is also a new and unknown area for many CCTV installers and this is explained in a brand new section. The challenge of selecting the right system from such a wide variety of new technologies available in CCTV has been compounded by the advent of DVRs. This new edition of the book CCTV demystifies DVR technology. It covers brand new digital video recorder (DVR) compression techniques, image quality, measuring and networking.It is fully illustrated with dozens of photographs, tables, checklists, charts, diagrams and instructions. It encompasses CCTV standards for U.S., Europe, and Australia. Based on the ACM model curriculum guidelines, this easy-to-read and easy-to-navigate text covers all the fundamentals of computer science required for first year students embarking on a computing degree. Divided into five parts – computer and data, computer hardware, computer software, data organization and with an introduction to some of the more advanced topics – Foundations of Computer Science gives students a bird’s eye view of the subject. Each chapter includes key terms, summaries, review questions, multiple-choice questions, and exercises to enhance learning, while introducing tools such as UML, structure chart and pseudocode, which students will need in order to succeed in later courses. The text is also supported by numerous figures, examples, exercises, selected solutions and a test bank, all designed to ease and aid the learning process. Updated to cover the latest technologies and changes to course requirements, this second edition features new and updated coverage of: Artificial Intelligence, Computer Ethics and Crimes, Networking, LINUX, and Security. Inspired by the success their best-selling introductory programming text, Java Software Solutions, authors Lewis, DePasquale, and Chase now release Java Foundations. Their newest text is a comprehensive resource for instructors who want a two-semester introduction to programming textbook that includes data structures topics. Java Foundations introduces a Software Methodology early on and revisits it throughout to ensure students develop sound program development skills from the beginning. Control structures are covered before writing classes, providing a solid foundation of fundamental concepts and sophisticated topics. In The Art and Science of Java, Stanford professor and well-known leader in Computer Science Education Eric Roberts emphasizes the reader-friendly exposition that led to the success of The Art and Science of C. By following the recommendations of the Association of Computing Machinery’s Java Task Force, this first edition text adopts a modern objects-first approach that introduces readers to useful hierarchies from the very beginning. A modern objects-first approach to the Java programming language that introduces readers to useful class hierarchies from the very beginning. Author Iyad Rahwan, Simon Parsons, Chris Reed, (eds.). Argumentation provides tools for designing, implementing and analyzing sophisticated forms of interaction among rational agents. Application domains include: legal disputes, business negotiation, labor disputes, team formation, scientific inquiry, deliberative democracy, ontology reconciliation, risk analysis, scheduling, and logistics. The papers presented in this book constitute the thoroughly refereed post-workshop proceedings of the 4th International Workshop on Argumentation in Multi-Agent Systems, held in Honolulu, HI, USA, in May 2007 as an associated event of AAMAS 2007, the main international conference on autonomous agents and multi-agent systems. A number of invited revised papers on argumentation in MAS are also included, from both AAMAS 2007 and AAAI 2007, the 22nd Conference on Artificial Intelligence. The book has been divided into three parts, each addressing an important problem in argumentation and multiagent systems. The first two parts focus on issues pertaining to dialogue and on using argumentation to automate or support various single agent reasoning tasks. The third part addresses an exciting new area in argumentation research, namely, the relationship between models of argumentation and models of learning. Author Elena Marchiori, Jason H. Moore (eds.). This book constitutes the refereed proceedings of the 6th European Conference on Evolutionary Computation, Machine Learning and Data Mining in Bioinformatics, EvoBIO 2008, held in Naples, Italy, in March 2008 colocated with the Evo* 2008 events. The 18 revised full papers were carefully reviewed and selected from 63 submissions. EvoBio is the premiere European event for experts in computer science meeting with experts in bioinformatics and the biological sciences, all interested in the interface between evolutionary computation, machine learning, data mining, bioinformatics, and computational biology. Topics addressed by the papers include biomarker discovery, cell simulation and modeling, ecological modeling, uxomics, gene networks, biotechnology, metabolomics, microarray analysis, phylogenetics, protein interactions, proteomics, sequence analysis and alignment, as well as systems biology. Author Mario Giacobini et al. (eds.).. This book constitutes the refereed joint proceedings of seven workshops on evolutionary computing, EvoWorkshops 2007, held in Valencia, Spain in April 2007. The 55 revised full papers and 24 revised short papers presented were carefully reviewed and selected from a total of 160 submissions. In accordance with the seven workshops covered, the papers are organized in topical sections on evolutionary computation in communications, networks, and connected systems, evolutionary computation in finance and economics, evolutionary computation in image analysis and signal processing, interactive evolution and humanized computational intelligence, evolutionary music and art, evolutionary algorithms in stochastic and dynamic environments, as well as evolutionary computation in transportation and logistics. This book constitutes the thoroughly refereed post-conference proceedings of the 17th International Conference on Inductive Logic Programming, ILP 2007, held in Corvallis, OR, USA, in June 2007 in conjunction with ICML 2007, the International Conference on Machine Learning. The 15 revised full papers and 11 revised short papers presented together with 2 invited lectures were carefully reviewed and selected from 38 initial submissions. The papers present original results on all aspects of learning in logic, as well as multi-relational learning and data mining, statistical relational learning, graph and tree mining, relational reinforcement learning, and learning in other non-propositional knowledge representation frameworks. Thus all current topics in inductive logic programming, ranging from theoretical and methodological issues to advanced applications in various areas are covered. Author Jano van Hemert, Carlos Cotta (eds.). This book constitutes the refereed proceedings of the 8th European Conference on Evolutionary Computation in Combinatorial Optimization, EvoCOP 2008, held in Naples, Italy, in March 2008. The 24 revised full papers presented were carefully reviewed and selected from 69 submissions. The papers present the latest research and discuss current developments and applications in metaheuristics – a paradigm to effectively solve difficult combinatorial optimization problems appearing in various industrial, economical, and scientific domains. Prominent examples of metaheuristics are evolutionary algorithms, simulated annealing, tabu search, scatter search, memetic algorithms, variable neighborhood search, iterated local search, greedy randomized adaptive search procedures, estimation of distribution algorithms and ant colony optimization. This book constitutes the refereed proceedings of the 11th European Conference on Genetic Programming, EuroGP 2008, held in Naples, Italy, in March 2008 colocated with EvoCOP 2008. The 21 revised plenary papers and 10 revised poster papers were carefully reviewed and selected from a total of 61 submissions. A great variety of topics are presented reflecting the current state of research in the field of genetic programming, including the latest work on representations, theory, operators and analysis, evolvable hardware, agents and numerous applications. Author Luc Bougé … [et al. ], (eds.). This book constitutes the thoroughly refereed joint post-workshop proceedings of three international events: the International Workshop on Highly Parallel Processing on a Chip, HPPC 2007, the UNICORE Summit 2007, and the Workshop on Virtualization/Xen in High-Performance Cluster and Grid Computing, VHPC 2007, held in Rennes, France, in August 2007 within the scope of Euro-Par 2007, the 13th International Conference on Parallel Computing. The 8 papers of the HHPC 2007 workshop address all aspects of existing and emerging/envisaged multi-core processors with a significant amount of parallelism, especially to considerations on novel paradigms and models and the related architectural and linguistic support. The 8 papers presented at the UNICORE Summit 2007 show current developments and implementations of the UNICORE middleware system – a grid technology, providing a seamless, secure, and intuitive access to distributed Grid resources. UNICORE is a full-grown and well-tested Grid middleware system, which today is used in daily production worldwide. The 9 papers of the VHPC 2007 workshop present new models for implementing high-performance computing (HPC) architectures in both cluster and grid environments and cover areas including performance of virtual machine monitors (VMM), VMM architecture and implementation, cluster and grid VMM applications, management of VM-based computing resources, and hardware support for virtualization. Author Takashi Washio … [et al.] (eds.). This book constitutes the thoroughly refereed joint post-proceedings of three international workshops organized by the Japanese Society for Artificial Intelligence, held in Tokyo, Japan in June 2006 during the 20th Annual Conference JSAI 2006. The volume starts with 8 award winning papers of the JSAI 2006 main conference that are presented along with the 21 revised full workshop papers, carefully reviewed and selected from the three co-located international workshops for inclusion in the volume. The workshop papers cover topics from areas such as logic and engineering of natural language semantics (LENLS 2006), learning with logics and logics for learning (LLLL 2006) and risk mining (RM 2006). Author Ngoc Thanh Nguyen … [et al. ], (eds.). Place of Publication Cambridge, Mass..
Real life problems are known to be messy, dynamic and multi-objective, and involve high levels of uncertainty and constraints. Because traditional problem-solving methods are no longer capable of handling this level of complexity, heuristic search methods have attracted increasing attention in recent years for solving such problems. Inspired by nature, biology, statistical mechanics, physics and neuroscience, heuristics techniques are used to solve many problems where traditional methods have failed. Data Mining: A Heuristic Approach will be a repository for the applications of these techniques in the area of data mining.